Spending Sunday morning with a cup of coffee and the newspaper is quickly becoming a thing of the past, according to new research from Pew Research Center. Pew found that 20 percent of U.S. adults who responded to its survey said they often get news via social media, marking the first time that social network topped newspapers (16 percent) since Pew began researching this topic. Television was still the top source, at 49 percent, down from 57 percent in 2016. TV was followed by news websites (33 percent, up from 28 percent in 2016) and radio (26 percent, up slightly from 25 percent in 2016). Pew also included getting news via streaming devices on TVs as an option for the first time, and 9 percent of respondents said they do so often, with 73 percent of that group adding that they also get news often from broadcast or cable TV. Respondents 65 and older were five times as likely as those 18 through 29 to get news from TV, with 81 percent doing so, along with 65 percent of those 50 through 64. Meanwhile, just 16 percent of those 18 through 29 and 36 percent of those 30 through 49 said they often get news from television. Those trends reverse for social media, with respondents 18 through 29 roughly four times more likely to get news from social networking sites than those 65 and older. 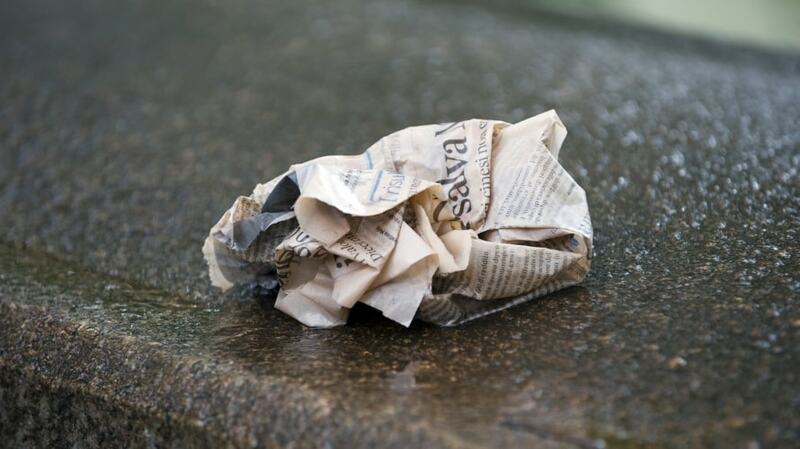 The 65-and-older group is also print’s last stronghold, with 39 percent getting news often from newspapers, while no other age group tops 18 percent. The 30-through-49 age group was the most prominent among online news sites, with 42 percent of them getting news from those sites often, compared with 27 percent of respondents 18 through 29. 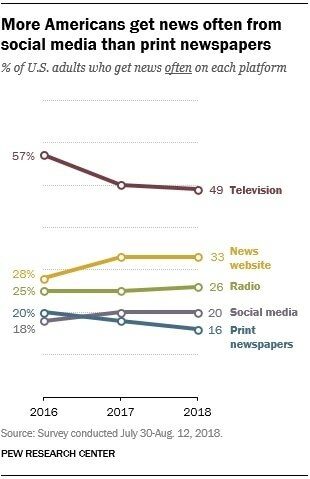 No more than one-half of those 18 through 49 get news often from any one platform. On the TV side, 37 percent of respondents get news often from local television, compared with 30 percent from cable news and 25 percent from national evening network news.